The final entry in our five-part series on helping you figure out when it’s time to replace your mattress addresses the most important consideration in bedding: your comfort. Replacement Tips for Your Mattress Pt. 1: It’s Too Old! Replacement Tips for Your Mattress Pt. 2: You Can’t Move! Less-than-ideal comfort while camping is tolerable. At home, it isn’t. As obvious as it may seem, discomfort should be an alarm that you need to replace your mattress. You may begin to experience discomfort as your existing mattress ages, or you may find a mattress you’ve had for a month isn’t comfortable. With everyone having their own unique set of needs and preferences when it comes to comfort, there are no real rules when dealing with discomfort in your own bed, other than you shouldn’t have to. Before we expand on this tip, we would like to point out that there is a break-in period that accompanies the purchase of a new mattress. After sleeping on the same surface for years, your body has gotten used to it. Switching to a new mattress should, provided you purchased a quality product, give you support you haven’t been accustomed to. Because of this, it’s important to pay attention to whether your body is just feeling something different, as opposed to feeling discomfort. Shoes are the perfect example of this. Everybody has had beat-up old sneakers or sandals, paper-thin and peppered with holes. We’ve worn them for so long, they’re practically molded to our feet. But while they may be comfy when cutting the grass, they aren’t providing support or impact absorption. When you do put on a brand-new pair of shoes, they feel strange as they touch and cradle your feet in a totally different way. Unless they are genuinely ill-fitting, they aren’t uncomfortable, just different. They provide the support your old shoes can’t, and soon enough, you get used to them. Because of that, we suggest sleeping on a mattress for 2 to 3 weeks before making a final decision, to allow your body time to decide if it’s slowly getting used to the bed’s feel or if it is genuinely uncomfortable. General discomfort, when caused by a mattress, is often a case of structural inadequacies. If you spend all night trying to find a comfortable position, bottom out, or can feel individual springs, you are dealing with discomfort that is detracting from the rest your body needs. If you wake up in the morning with a sore back, neck, shoulders, or hips, particularly if you didn’t go to bed that way, your mattress may be to blame. Sleep is the process of rejuvenation. It’s when your body heals and repairs itself, undoing all the damage of the day. A mattress’ job is to give your body every opportunity to do this, and discomfort means you aren’t getting the deep sleep your body needs to recover. The stiffness and exhaustion that follows can make your days miserable as well. While it may seem that some of these tips are simplistic, it’s because they are. The most difficult part of the process is being able to identify that your issues can be attributed to your mattress and not one of the million other potential sources in your life. This way, if your mattress passes all these suggestions, you can move on to the next problem. If not, you may have found your solution. When you’re trying to pinpoint the source of your sluggishness, allergies, restlessness, pains, and stiffness, take a look where you least expect it. You may find the answer wasn’t hiding under a rock, but was hiding under you the whole time. It is our hope that this series of tips and suggestions has made making decisions about your bedding clearer and easier. Maybe you’ve realized you’ve been blaming your mattress for problems it isn’t actually causing. Or, perhaps you identified a few issues that may make you consider replacing your existing mattress. Whenever you finally decide to replace your mattress, The Foam Factory will be there to provide you with top-quality bedding materials, customized to your exact wants and needs. 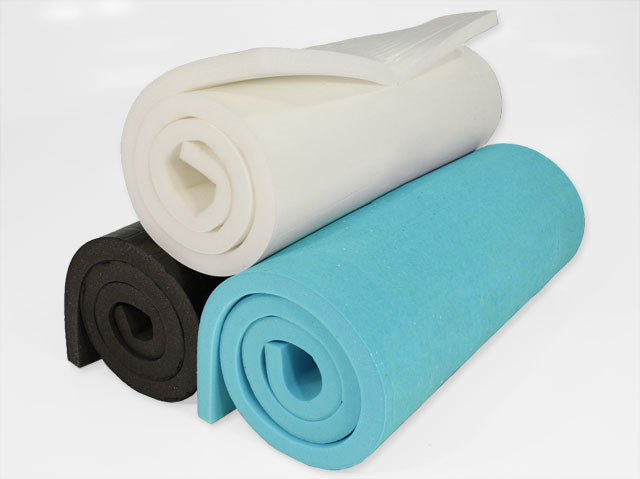 Featuring a product line that includes many varieties of standard open-cell foam, three memory foam densities, two Dunlop latex foam densities and specialty foam for outdoor or marine uses, The Foam Factory can meet your sleeping needs. Their manufacturing capabilities allow them to produce mattresses in nearly any size or shape, as well as combine multiple types of foam into one product for a hybrid mattress or mattress-zone personalization. The Foam Factory also offers a variety of mattress topper products and even outdoor camping pads. If you’re still not sure whether you should replace your mattress, wondering if a foam mattress may be right for your needs, or if you have any other questions, contact The Foam Factory, and our friendly and knowledgeable team will help you find the perfect sleep solution.